I am super excited to share this guest post all about art for babies and toddlers. Offering a diverse array of programs for our under 5 crowd is something I’d like to work towards at my own library and this post gave me so many ideas. Thank you to Katherine Hickey and Heather White for sharing your brilliance! Katherine Hickey is a Children’s Librarian with the Metropolitan Library System in Oklahoma City. Heather White is an art educator in Oklahoma City. She leads workshops for the Metropolitan Library System and works as a museum educator at the Oklahoma City Museum of Art. Art-making and art instruction are staples of library programming. Most libraries offer some kind of art program on a regular basis targeted towards adults or children. 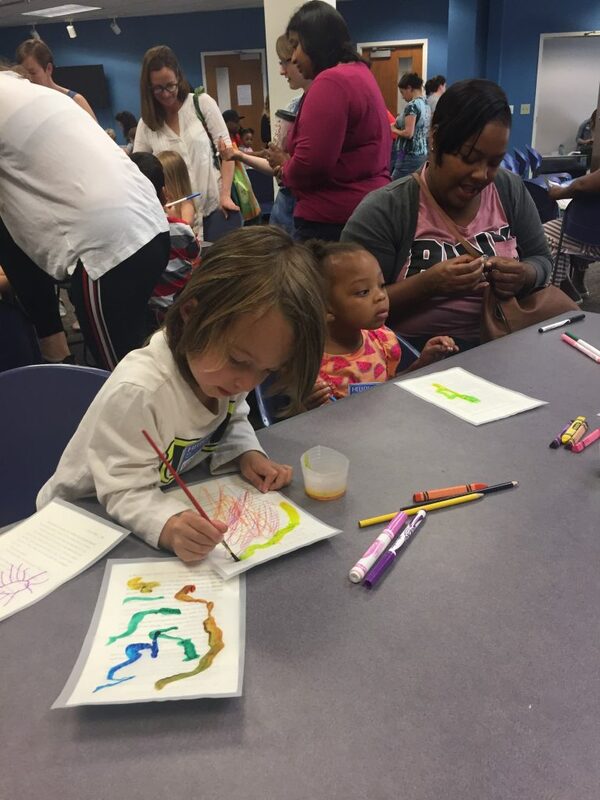 At the Belle Isle Library (Metropolitan Library System) in Oklahoma City, staff had offered a “Waffles and Watercolor” class, as well as “Make and Take” craft programs for kids, and regular art activities integrated into existing Teen programs. The success of these programs reflects a high interest in art from our community. In fact, the art sections of our collections are some of the highest circulating! However, there were no art classes for those that make up a majority of the attendance at our children’s programs: babies and toddlers. 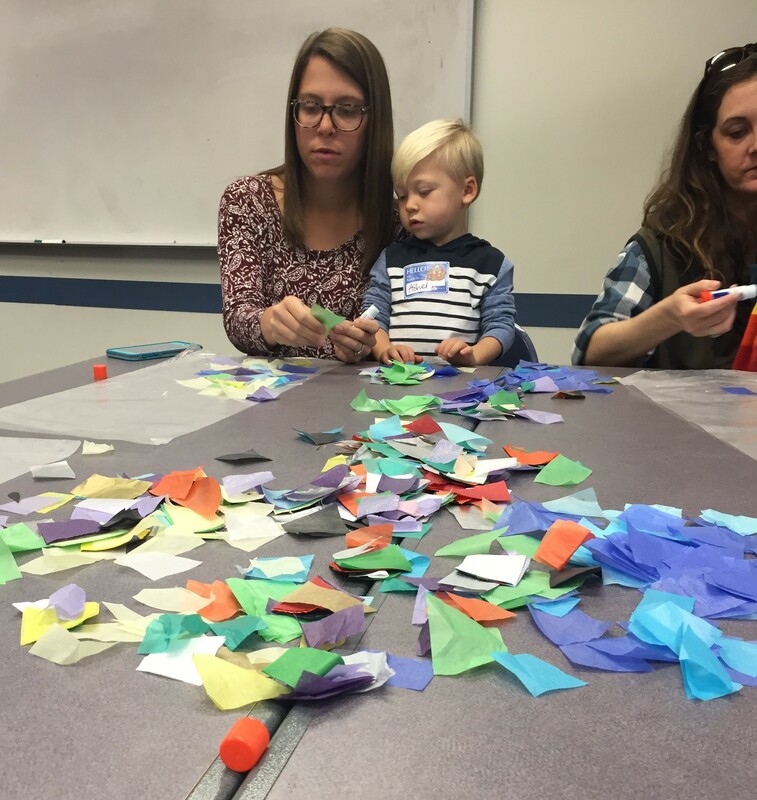 In response to this need, we – Katherine, Children’s Librarian and Heather, a local art and museum educator – created a monthly art program specifically for children 18 months to 4 years old called “Little Hands Art Camp” (LHAC). LHAC occurs every Thursday at 10 AM and lasts 45 minutes. Heather selects the art project, and two age-appropriate books related to the theme for the day. Heather starts off by reading a picture book to the group, then introduces the project and materials for the morning and does a short demonstration. 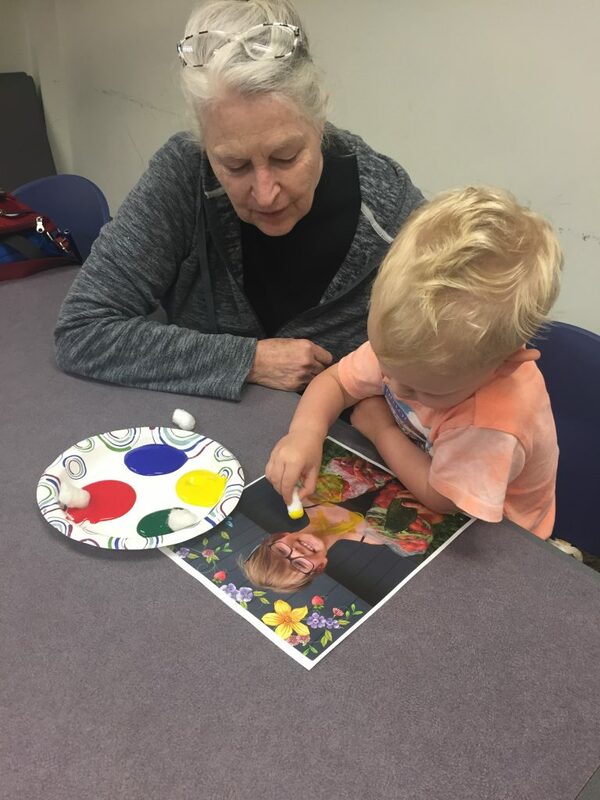 She then asks adult caregivers to find a spot at the table and lead their child in art making, one-on-one. Families work for 20-25 minutes, after they are finished, they are invited back to the storytime mat for a final book reading while their projects dry. The program ends with a final song (“I Had a Little Turtle”), bubbles, and handing out “I Visited the Library” stickers. The format of LHAC has undergone several iterations. We settled on its current format, with two books, a song, and bubbles, in addition to the actual art-making to elongate the program to 45 minutes. We found that parents at our libraries did not intuitively assume library programs could be offered for very young children. 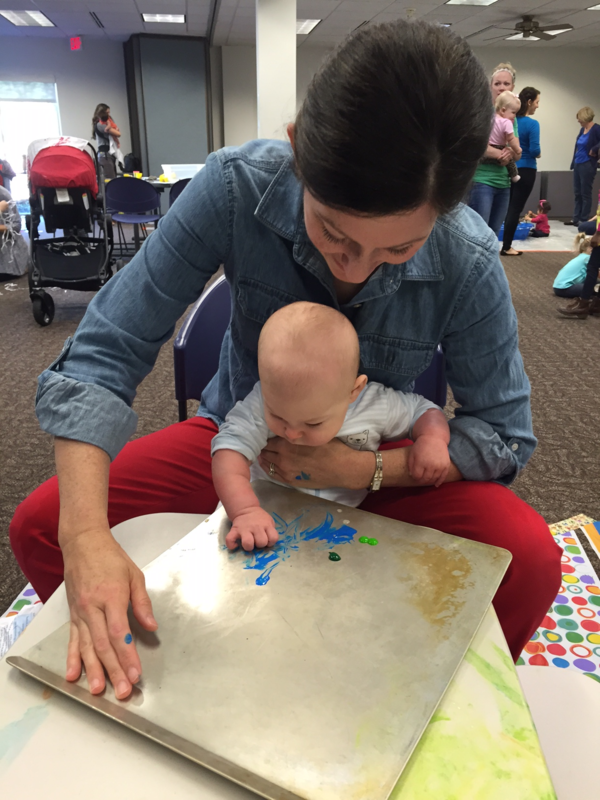 Even upon learning of our baby storytime, they often say “I didn’t know you could do storytime for babies!” This program has helped parents view the library as a place that welcomes babies and supports their growth. After the program, parents will often move to the children’s area to play with the available toys and look at books. Art programs strengthen fine and gross motor skills, eye tracking, color awareness, vocabulary, and sensory processing. These are all skills that support early literacy. This is particularly important as researchers have noted that more children are lacking the necessary fine motor skills to succeed in school. LHAC gives participants, both children and adults, the opportunity to explore many types of art making materials. Children have the opportunity to play with materials in a variety of textures, shapes, and sizes, and adults learn about unfamiliar age appropriate art making materials they can use at home, such as liquid watercolors, paint sticks, glitter glue, etc..
Heather designs open-ended art making projects to encourage personal expression and freedom. These open-ended projects set LHAC apart in that participants are not tracing their hand or all making the same “snowman” or “rainbow.” Rather, children create expressive, abstract works of art that are often beautiful and surprising. Caregivers have often commented that they find the open-ended format refreshing. Caregivers lead their child in the activity, not the instructor. 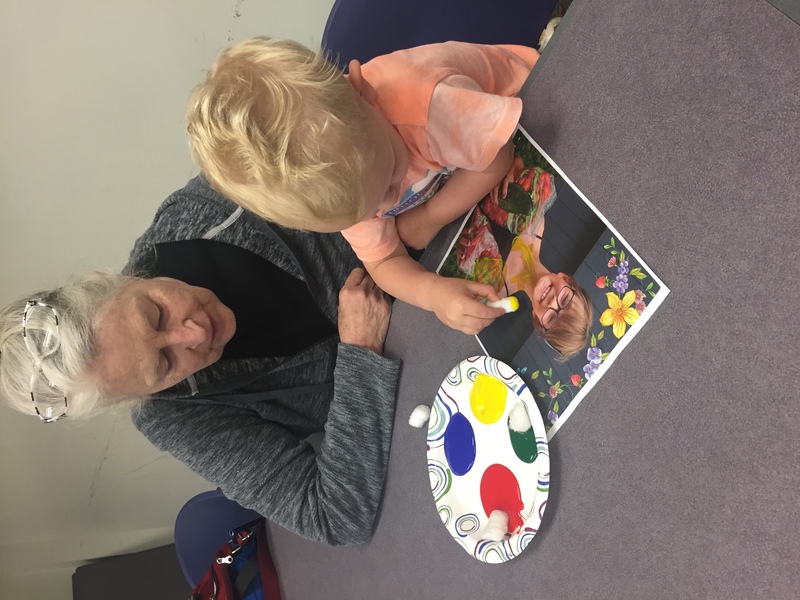 Not only does this encourage direct engagement between caregiver and child, it also provides hands-on training for parents on how to repeat the project of the day, or use the materials of the day, at home on their own. Additionally, the name of the program has lent itself well to branding and various extension programs. The library system’s marketing department designed a button logo for the program, and each participant receives a button for attending. During the summer of 2017, we hosted a “Little Hands Art Camp: Summer Edition” which led to a collaborative mural project around the art of Eric Carle, and we have brainstormed for a program called “Tiny Hands Art Camp” for a 3 month to 18 month-old program. Descriptions and materials for past projects can be found on Heather’s blog, Play Free and Create. Art for babies and toddlers might seem particularly messy, or difficult to implement, but it is not any more work or planning than what you probably already do for a baby storytime or lapsit. 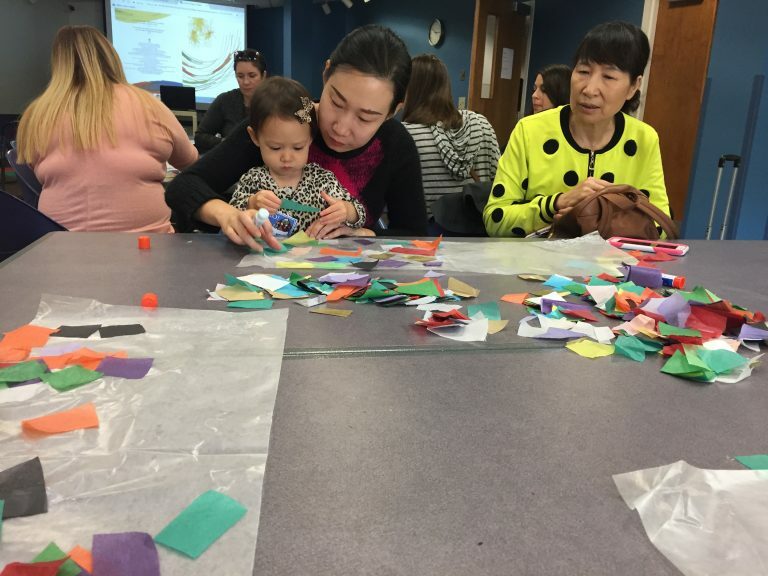 With a good format and unique art projects, you have everything necessary to start a successful early childhood art program at your library! What a beautiful blog! Thanks for sharing it and for the awesome ideas! I LOVE this! Thank you for sharing this amazing program idea. I’m feeling inspired! I ran a similar program to this. All open ended and I stressed to the adults that it was “big hands off the art” unless absolutely necessary. I provided enough materials that if the adults wanted to create alongside the child they could. I just asked they didn’t copy the child’s work. Thanks for the post, feels great looking at our little artists.